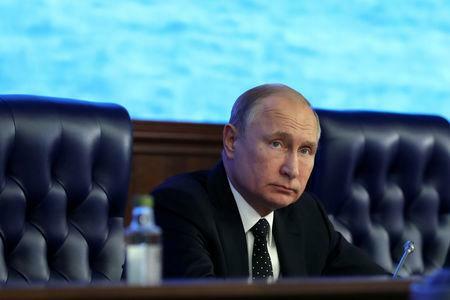 MOSCOW (Reuters) - President Vladimir Putin said on Tuesday that there was nothing to stop Russia and the United States holding talks with other countries about the possibility of them joining a landmark arms control treaty that is at risk of unraveling. The pact keeps intermediate-range U.S. and Russian missiles out of Europe. 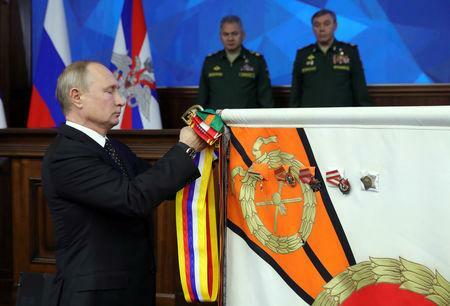 Washington has spoken of quitting the treaty altogether unless Russia returns to what it calls "full and verifiable compliance." 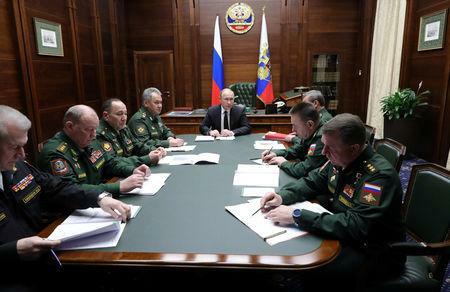 "Yes, it is true, there are certain problems with this agreement (the treaty) - other countries that possess intermediate and short range missiles are not part of it," Putin told top military officials at a Defence Ministry meeting. "What is stopping (us) from starting talks on them joining the current agreement or starting to discuss parameters for a new accord?" he asked.